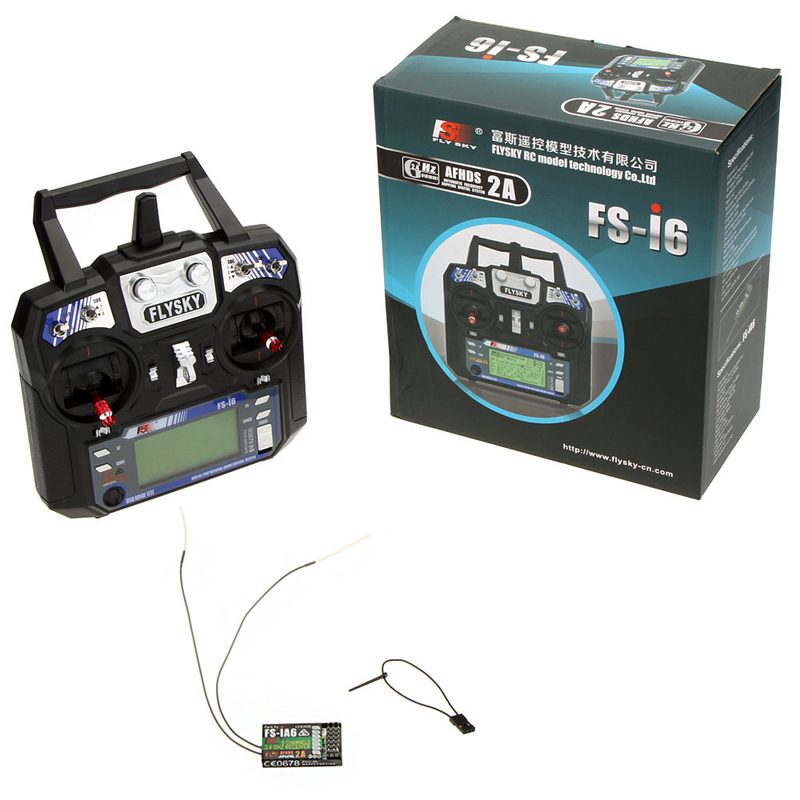 The Flysky FS-i6 is a affordable, 6CH 2.4G radio system and also a very simple setup for your RC vehicle. The automatic frequency hopping digital system provides a strong, reliable 2.4GHz signal, so rest assured you'll always be in control. Included in the package is a 6-channel mini receiver that will fit in most vehicles. The ergonomic feel of the trasnsmitter will feel good in your hands even after long track sessions.